It wouldn’t be a Pride celebration (and one put on by Color Pop Events, nonetheless) without the iconic rainbow, the most widely recognized symbol of the LGBTQIA+ community. When it was first created in 1978, it was comprised of eight representative colors: pink for sexuality, red for life, orange for healing, yellow for sunlight, green for nature, turquoise for magic, blue for peace, and violet for spirit. Eventually, it was reimagined in six colors for the current flag design. I teamed up with a handful of amazing vendors to bring this party to life, and we let the rainbow palette lead the way. For the styled shoot component of the party, I designed a tablescape to photograph before the party started, and for guests to take photos of throughout the event. Mimosa Floral Design outfit the table with taper candles and various flowers across the color spectrum, iridescent silverware, and plates with a touch of shimmer. Mimosa also put together the most spectacular arrangement of fanned-out palm fronds, flamingo flowers, tropical leaves, and gerbera daisies to add even more oomph and sparkle to the space. The caterer (and venue host), Dish Food & Events, brought a rainbow display of crudité and snacks to the party. 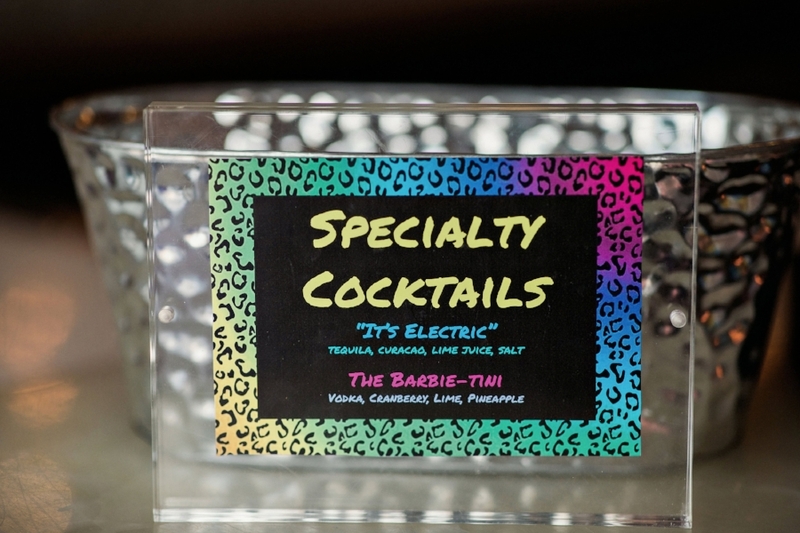 They also crafted two signature cocktails for the night: “It's Electric” was a bright blue tequila libation and “The Barbie-tini” was a fresh take on the classic cranberry and vodka. Local doughnut authority, Underwest Donuts, made a vertical display of their treats, once again proving donuts the most photogenic of pastries. The 80s ambiance was created in part by the decor. Something of out a throwback prom movie, a hot pink sparkly backdrop from Flux Photobooth Company was a definite crowd-pleaser. Inspired by the decade, the props provided were a perfect extra touch (think mullets, boomboxes, and hairspray). The talent of the night was celebrated drag queen Lauren Ordair. Song, dance, and resounding laughter filled the venue as Lauren took the stage. In addition, DJ Rob Kelly lit up the dance floor with the greatest hits from the 80s. An emblem of love, freedom, and inclusivity, the rainbow flag was waved proudly throughout Brooklyn this weekend—and was the perfect design muse for this celebration of Pride.